texasred, OR17TRD, Gregory and 2 others like this. I agree. My neighbor is 78 and he walks 2 miles in the morning 2 miles in the afternoon. He says setting around at his age is a great way to slowly die. He has said that doing nothing is cancer to seniors. texasred, OR17TRD, Crawdad and 2 others like this. It's true. Once you stop moving you go down hill quick..
texasred, Bogunn, OR17TRD and 2 others like this. I was a pressman for longer than most of y'all been alive. 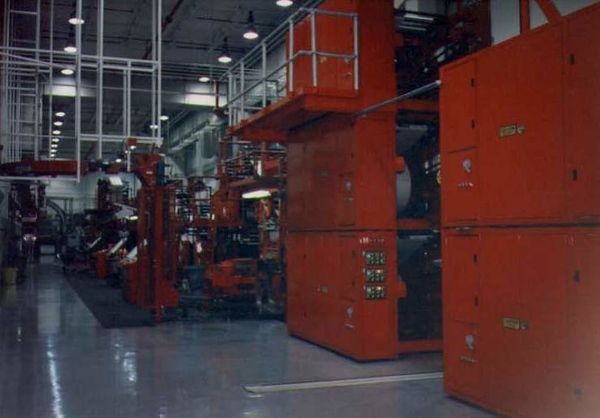 Mostly heat set, but printed newspapers the last 12 years. Cape taco, texasred, Gregory and 5 others like this. Cape taco, texasred, Gregory and 4 others like this. texasred, B-Man, Scott Wyman and 2 others like this. Can you get me a back stage tour? Cape taco, Gregory, texasred and 3 others like this. Army Program Manager for a new Army tactical truck. Our truck with the 30mm canon, 7.62mm mg, and the Javelin. blacktaco4x4, Gregory, OR17TRD and 8 others like this. Taking the place of the HMMWV? At least half for now. texasred, B-Man, Lil G and 1 other person like this. Gregory, texasred, Cape taco and 1 other person like this. That’s a pack of fun right there! Jack Straw, texasred, Scott Wyman and 2 others like this. Now THAT is a truck! Thank you for your service!!! tinyjew, Cape taco and texasred like this.